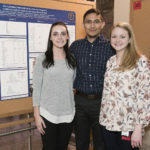 On Feb. 6, students and faculty from the Paul L. Foster School of Medicine (PLFSOM) gathered for the eighth annual Service Learning Symposium. The symposium showcased the PLFSOM’s philosophy of service education, a form of teaching that encourages meaningful community service. 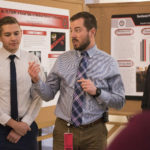 The symposium featured 22 presentations, mostly by students or graduates of the PLFSOM’s Society, Community, and the Individual Course. 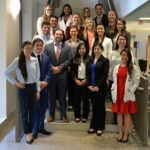 The course is a core requirement of the medical curriculum that introduces public health issues through a social, cultural, economic, political, and environmental lens, said E. Lee Rosenthal, Ph.D., M.S., M.P.H., a course faculty member and key organizer of the event. 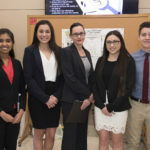 Participating in the symposium for the first time this year were two student groups from the University of Texas at El Paso (UTEP) and three students from the El Paso Independent School District’s Maxine Silva Health Magnet School. 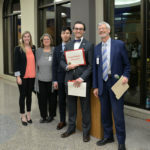 The symposium began with a dual keynote speech by Michael Parsa, M.D., associate professor and clerkship director in TTUHSC El Paso’s Department of Emergency Medicine, and fourth-year medical student Jennifer Nielsen. The two spoke about incentives for clinical volunteerism, drawing from Nielsen’s public health master’s thesis on barriers to physician volunteerism and how to overcome those barriers. 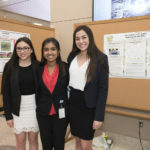 Nielsen has participated in the symposium for the past three years and said it’s a good opportunity to encourage service among physicians and students. 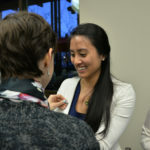 At the end of the symposium, PLFSOM students who had completed at least 100 hours of community service were honored and inducted into the school’s 100-Hour Club, an acknowledgment of their service to the community. Some were also honored for completing 250 and 500 hours. 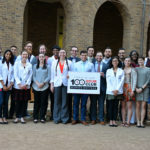 Second-year PLFSOM student Eric Potter, who helped to conceptualize the 100-Hour Club, shared that first-, second-, and third-year students together had contributed more than 12,000 service hours. 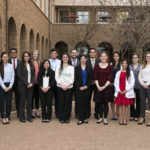 Elizabeth McCain, Skye Schultz, Sarah Sweitzer, Subodh Potla, Anthony Do, E. Lee Rosenthal, Ph.D., M.P.H.